Richfield Living in Salem, VA. 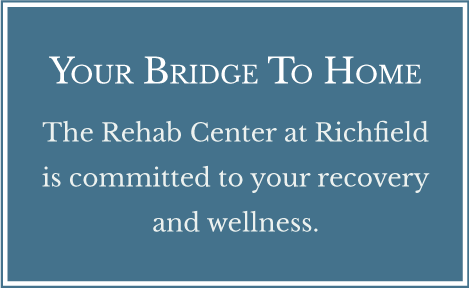 The Rehab Center at Richfield in Salem, Virginia, provides short-term, skilled nursing and rehabilitation services to those who are still recovering from surgery, injury or illness and serves as a bridge between a hospital stay and your return home. We understand what you want from short-term rehab: to return to your life and the activities you enjoy. Our Rehab Center brings together years of experience, the latest technology, and a caring, knowledgeable staff to help you achieve your goals. Our outcome-driven services are designed to make you stronger and more active, and return you to where you most want to be – home. Coming to Richfield for my rehab was the best decision I could have made. 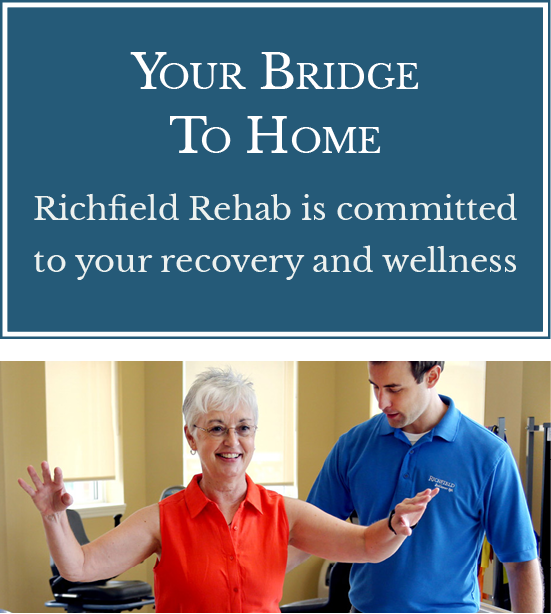 The Rehab Center at Richfield in Salem, VA, is an ideal environment for those seeking an alternative to rehab in a traditional nursing home setting. Typically, patients stay anywhere from a few days to a few weeks depending on their diagnosis, overall condition and insurance coverage. Patients can enjoy all accommodations with a private bathroom and shower. 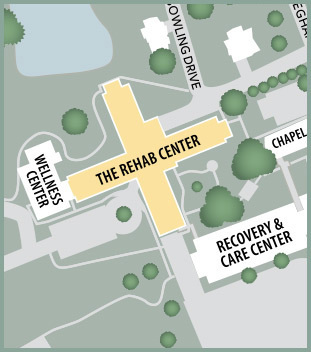 View this video tour to discover all that our Rehab Center has to offer. When you need short-term rehabilitation, you’ll find a new level of comfort and experienced care at The Rehab Center at Richfield Living. I love the team I work with… if there are issues that come up we discuss it as a team and arrive at solutions together.